Celebrating 25 years in business, Huntington Controls (based in Massachusetts), has established itself as the regional leader in the building automation and energy management industry. Their business has changed significantly over the past 2 and a 1/2 decades. Initially described as simply “building controls”, they are now a premier provider of complete turnkey, integrated building solutions: automation, lighting, energy meters, and VFDs. With that transformation, it was decided the company needed rebranding to more accurately reflect “who we are and what we do”. 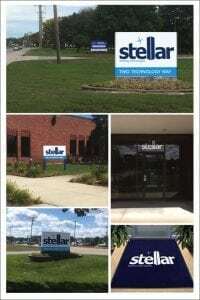 To reinforce their commitment to unsurpassed performance, and to encapsulate all of the exciting building technologies and developments, they chose their new name: Stellar Building Technologies. 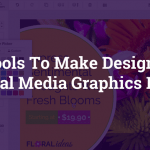 Now the hard part: finding a graphic design firm that could accurately reflect their brand, core image and complete all facets of their brand design, in-house. Mr. Milano recalls but few examples of good logo designs; especially from online sources. “We more or less just stayed away from those. Clearly they were gimmicky, full of cartoon-style illustrations, bright colors — very clip-art looking graphics. 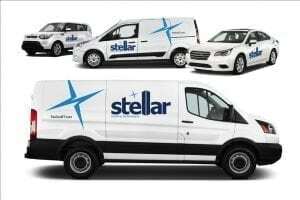 Great for pizza shops or maybe a courier service — but that’s about it. Looking at actual graphic design firms, we had much better success, — some really great stuff is being done. 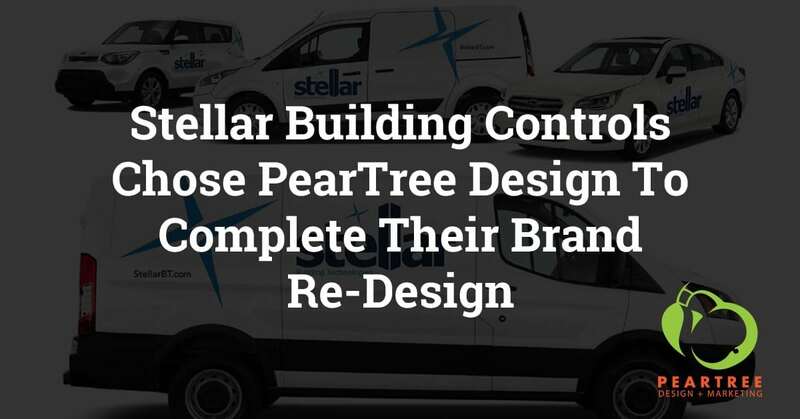 PearTree Design’s logo and branding portfolio really stood out and instantly made our short list. 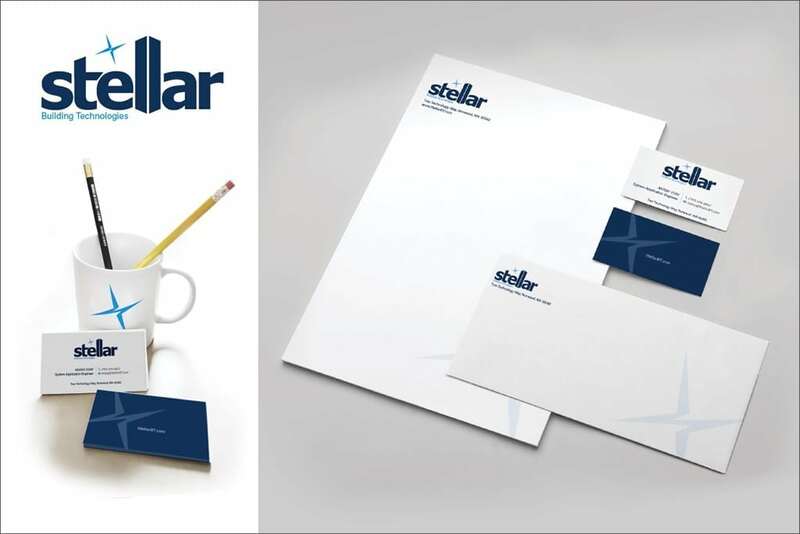 Their portfolio has a ton of really sharp, custom and clearly well-thought-out logo designs”. 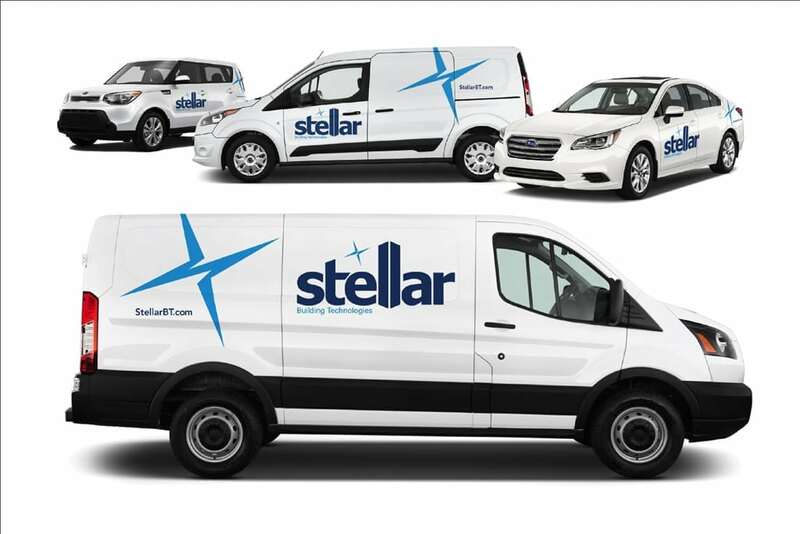 After our team met with the soon-to-be-now “Stellar Building Technologies” we understood the goals and expectations clearly: Their old logo presented challenges of it’s own. While far from terrible as logos go, it used several thin horizontal lines behind the ‘H’ that were hard to reproduce, especially in embroidery, shirts and hats. Additionally, while it was indeed a brand, it didn’t represent anything specific about their company or their industry. 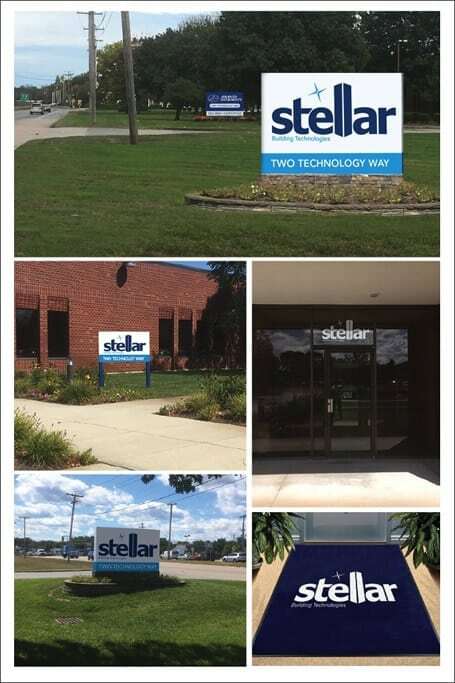 Stellar Building Controls wanted something clever, intriguing and memorable that related to their audience and clients. 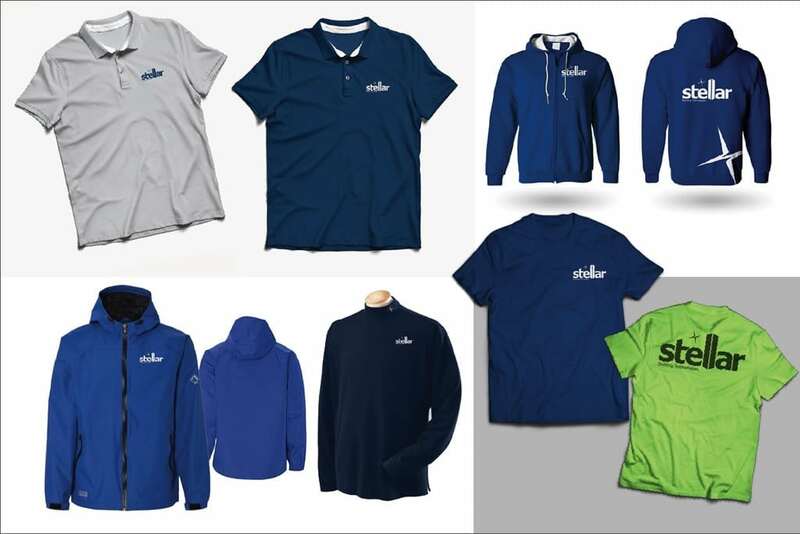 The logo design and branding material shown here is the result of months of design work, dozens of concepts, sketches and comps, designs and redesigns, color selections, print and digital samples.